AJS made these cone-headed taps for Stevens Point Brewery in Wisconsin. A pointy-headed professor. A hand-painted heron. A steel fist rising in the air. These are all works of American art, of a sort — but you can&apos;t go to a museum to see them. You go to your local bar or craft brewery. They&apos;re examples of beer tap handles, a business that&apos;s expanded in tandem with the explosion of growth in the craft beer industry. As craft brewers try to make their brews stand out in an increasingly crowded field, they&apos;re driving the expansion of a singular business: custom-made snazzy beer taps. "Something that kind of stands out, that kind of represents the beer itself and kind of has a unique look to it, looks interesting and kind of funny," says Austin Voelker, a customer at Stubby&apos;s GastroGrub in Milwaukee, Wis., while enjoying a pint of beer. He&apos;s surveying the bar&apos;s 53 taps. Each one has a unique handle, reflecting the brewery - and the brew - competing to catch his eye. That&apos;s exactly what Mark Steinhardt likes to hear. He&apos;s the general manager of AJS Tap Handles in Random Lake, Wis. It&apos;s one of the nation&apos;s largest manufacturers of tap handles. "I&apos;ll often, if I&apos;m in a bar with friends or family, they&apos;ll say, &apos;How many of those did you make?&apos; and I&apos;ll say, &apos;Well, we made three-quarters of those tap handles, and we made this one, that one, this one, that one.&apos; [And they&apos;ll reply] &apos;Oh, that&apos;s really cool!&apos; So it&apos;s a fun experience." Going to a bar for a tap handle creator is like going to a gallery opening for a painter. After all, tap handles are little works of art. Inside the factory at AJS Tap Handles, a worker uses a table saw to cut planks of wood. Some handles are carved. Others are molded out of enamel, polyurethane or metal, and are often hand-painted. AJS&apos;s clients include biggies, like Coors, but when pushed to choose his personal favorite, Steinhardt settles on a vaguely menacing cone head, Professor Point, made for Stevens Point Brewery in Wisconsin. "It&apos;s a fun handle. Very labor-intensive, very cool-looking tap handle, in my opinion," he says. "They use him as part of their tap handle and part of their logo." The number of craft breweries in the U.S. has more than doubled in the last five years. Lucy Saunders writes about beer for Cheers magazine, and she says if a new brewery wants to distinguish itself, it needs to make a quality brew. "But I do think a tap handle that&apos;s well-designed will be something people respond to," she says. 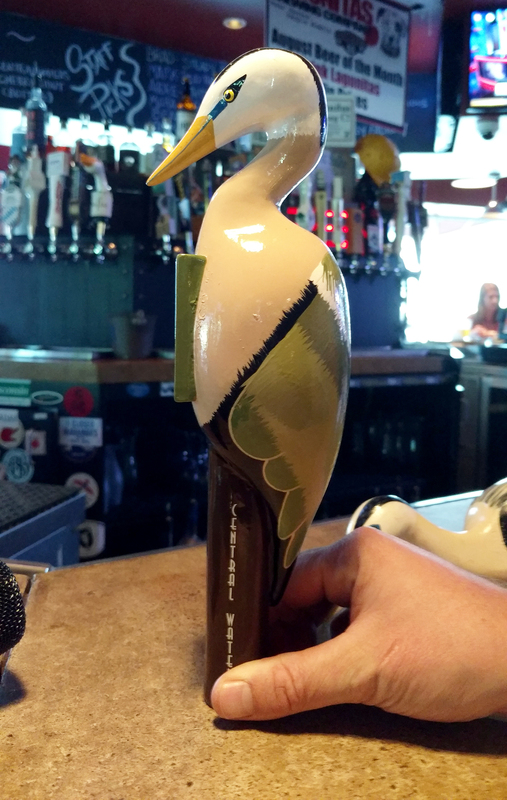 It might prompt them to wonder, "&apos;What&apos;s the story behind that one?&apos; "
Back at Stubby&apos;s, owner Brad Todd says customers often choose a beer based on an attention-grabbing tap handle. "People definitely judge a book by its cover, because it just sparks a conversation about it, and that alone can entice somebody to drink that beer," Todd says. But a handle is just one part of branding. AJS&apos;s Steinhardt says, "We like to think that the tap handle will sell the first beer for the brewery. Of course, then it&apos;s up to the beer itself to sell the second beer." 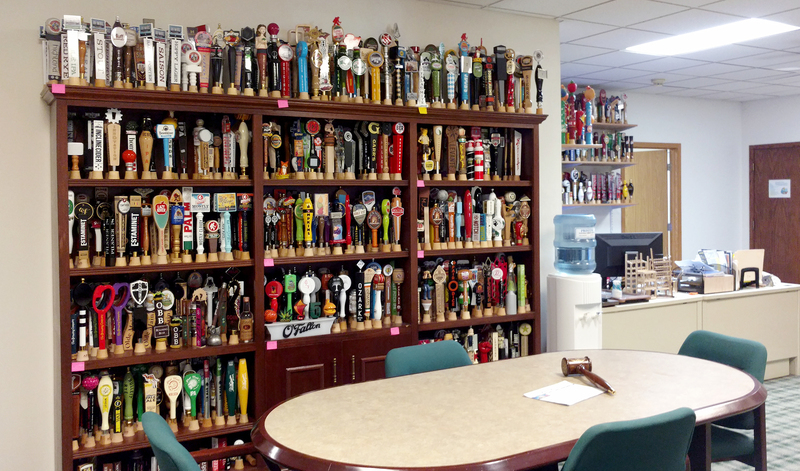 AJS is expanding its factory to keep up with the nation&apos;s tap handle demand. It already sells a half-million handles a year — and doesn&apos;t expect that to slow down.